Exactly what do African luxury safaris consist of? Some will unfortunately peg it to a tented camp and the higher the price, the more the assumed level of luxury. Others will fix it on the vehicle used and 4WD seems to be an assumed item that a luxury vacation must have. Along the line, you will find some who swear to a private safari being the very equivalent of luxury or the name of the safari operator as the definition of an African luxury safari. 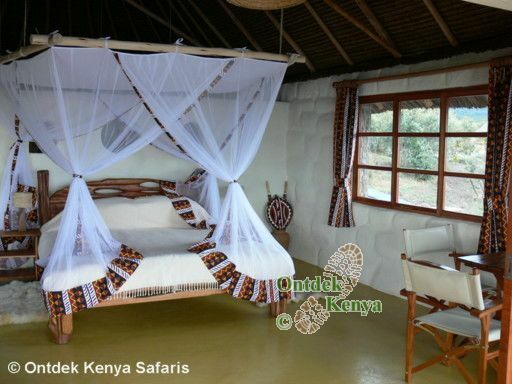 While the above items do contribute to the quality of the safari, let us cut out the marketing hype and examine the "luxury" part, backed by Ontdek’s experience since '96 in quality nature safaris in Kenya. A luxury safari is the sum total of all the nuts and bolts (often behind the scene) that make a safari tick. A luxury vacation in Africa ideally starts way before you set your foot in Africa. On this, do you have the "safety luxury" of knowing you have linked up with an experienced and reliable African tour operator? Can he consult with you candidly on your wishes? Is he a "Yes, yes" person just to get your business or is he a safari expert who injects new thinking into your luxury safari? By all means quality accommodation is top on the list of must haves in an African luxury safari. The assumed measure seems to be that African safari camps are the end-all in luxury, but real luxury comes not just in tents that are well appointed and with good fittings but in having staff and field guides, who are competent at offering quality service in a warm personal way rather than the cold on-duty style. Back to your mode of transport during your African safari. This gets tricky in that the assumption is that air safaris or safaris exclusively by 4WD vehicles are the ultimate definition of African luxury. For someone who has never been to Africa, there is an overload of info on best transport and it is often difficult to read between the lines for the actual ground reality. While air safaris can significantly cut down on travel time and distances, it is highly erroneous to use that as an overall indicator of a "luxury safari". It boils down to the basic: what happens once you get off the plane? Do you have maximum time in the field for wildlife viewing? Are you going to be on a shared vehicle on your game drives? If you are a bird watcher, will you have experienced guides who can competently take you through the bird life of the area? All these items form the aggregate of a luxury safari. On 4WD vehicles, where is the luxury if from morning to evening you are cooped up in the vehicle on exhausting game drives and continuously following the convoy of vehicles? If you are going to pay more for the 4WD safari vehicle, the luxury measure has to be more than a mechanical advantage. It must (should be), the difference that the driver/guide will add to make your vacation a true African luxury safari. 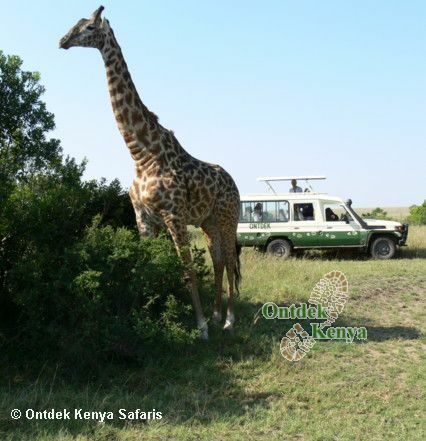 Ontdek Kenya has been organizing nature themed safaris since 1996. We are specialized in walking, bird watching and responsible wildlife viewing. For a consultation on your African luxury safaris, kindly contact Ontdek.